What is AI explainability? Why does it matter in health care? 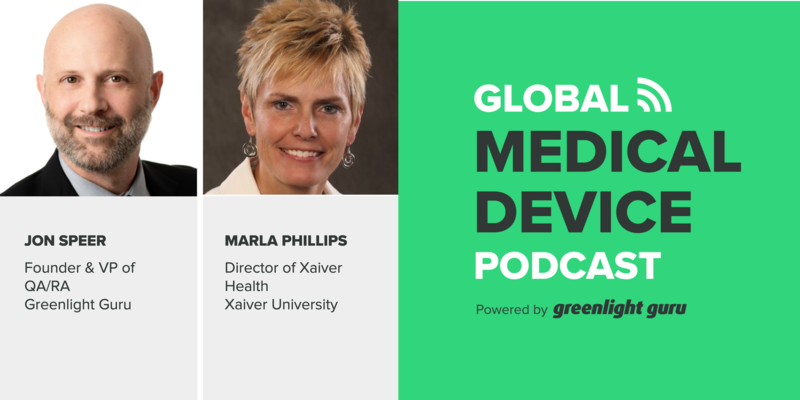 On today’s episode, we have Marla Phillips, director of Xavier Health, who shares why AI will transform how the medical device industry operates. Xavier Health brings the FDA and pharmaceutical and medical device industries together in a collaborative setting to break down barriers and improve patients’ health. Overcome the media-generated hype and fear of AI to discover its benefits when using it responsibly. We can do better with it, than without it. ● AI Explainability: Part of transparency of how end user can have confidence in the outcome of AI. Explainability links credibility of input to the output. ● AI has been around since the 1950s, but its use is new to some people. The AI Summit shows how it works. ● Pivoting from being reactive to proactive: Advancing use of AI to identify correlations between data for improvement of the quality of products/patients. ● Some devices have digital health components. There’s movements around real-world data for information to go to manufacturers to evaluate performance. ● Continuous Product Quality Assurance team encourages review and assessment of all the data. AI can be used to identify conditions that lead to failure. ● Where is the data? GMP, non-GMP, financial, weather, and other kinds of data that impacts product quality. Use AI to take out garbage, find what’s meaningful. ● AI is a continuously learning system. How to evaluate it? How did it reach its outcome? How to demonstrate credibility? How to train algorhythm? ● Challenges of implementing AI include figuring out how to demonstrate credibility of AI output when not using validation and not having access to electronic data. John Speer: Is artificial intelligence a topic that we should be focused on in the medical device industry? I think it's a really great question, and I would encourage you to listen to this episode of The Global Medical Device Podcast. I'll speak with Marla Phillips. Marla is the Director of Xavier Health and one of the programs that Xavier Health has coming here in a couple of weeks is the AI Summit. So, I want to encourage you to sit back, relax and enjoy this episode of The Global Medical Device Podcast. 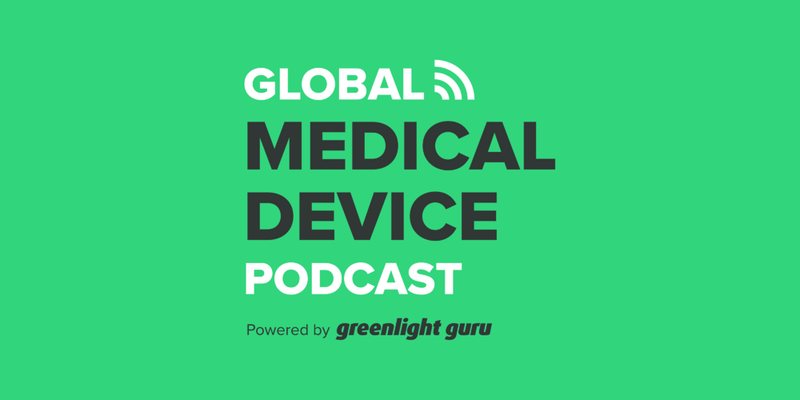 Hello and welcome to The Global Medical Device Podcast. This is your host, founder and VP of quality and regulatory at Greenlight Guru, John Speer. And today I'm real excited because I have Marla Philips. Marla is the Director of Xavier Health, and she and I are going to talk a little bit about AI explainability. What that means and why it matters in health care. Marla, welcome to The Global Medical Device Podcast. Marla Phillips: Well thank you John. John Speer: So, Marla, I got exposed to Xavier Health recently. I had an opportunity to participate, or attend the MedCon 2018 Conference, and I was just like, blown away about how fantastic that event was, and I guess-- Share a little bit, before we dive into AI explainability, share a little bit about some of the things that you're doing at Xavier Health. Marla Phillips: Okay. Well thank you first of all, for your very kind words. We work to bring industry and FDA together. And when I say industry, I mean the pharmaceutical and medical device industries, in a very collaborative setting. And so if you think of Vigor University, it was true mutual ground. And we're able to break down a lot of walls and barriers and really reach a level of a collaboration that people find just really amazing. So they don't find it any other place. FDA enjoys interacting with the audience. We think of ideas together, we explore the weather, and it's just been in a way that's very collaborative with industry and FDA because our goal is inspiring collaboration, leading innovation and making a difference. And even through just a conference setting, it's a very purpose driven event. Every session has a purpose, every event has a meaning. And so, when we bring these groups together, we're actually trying to advance the industries for the betterment of patient health. And so we have a pharmaceutical conference and a medical device conference each spring that's co- sponsored by the FDA. We have an artificial intelligent summit every August. And then we have a combination product summit every September. And so, all of those events have FDA and industry involved, and through those, we look for initiatives to lead. And artificial intelligence is one of those examples that we're going to be talking about today. John Speer: Yeah and folks, I can speak first hand, it is the best conference I've ever been to, where there's true collaboration and transparency between FDA and medical device companies. It was fantastic. So, I encourage you to check out all of these programs that are held by Xavier Health. Really great opportunities to engage and learn about not just regulation, the normal regulations, but some of the more progressive, thought provoking, leading edge type programs that are coming from the agency. It really is a great collaboration. So let's dive into this AI explainability. So, my understanding that you were recently on Capitol Hill to participate on the AI panel. Can you share the purpose of what this panel session was all about, and what takeaways did you have relative to the platforms that were shared by the congressmen. Marla Phillips: Okay, great. So, IBM actually coordinated this panel because there's been a lot of concern about artificial intelligence for end user. And in this particular case, since it's been geared toward healthcare, the end user was the healthcare provider. And so a physician or a surgeon for example. And so the panel had Bakul Patel from FDA, Michael Hodgkins from the American Medical Association, and Anil Jain from IBM, in addition to myself. And our goal was to address explainability, and what is that and why would it matter to the end user. Well if you think of a healthcare provider, and especially with the use of artificial intelligence that already exists, and diagnosis, how can they have confidence in what the artificial intelligence outcome is? And explainability also is like a part of transparency. It's not synonymous with it, but explainability actually links the credibility of the input to the output. So that if the end user can see that the inputs were credible, I'm not quite sure how the algorithm made all of its correlations, but I know what it was working from was credible, I have more confidence in the outcome. And so we addressed the importance of building explainability and providing transparency, so that that end user, when they're facing a patient, can feel confident in what he or she is saying and the diagnosis and the prognosis for that patient's life. We had three congressmen join this-- it was like a standing room only event on Capitol Hill. Congressmen Delaney, Matsui and Bucshon. And all three of them, I would say, recognized for sure the importance of the use of AI in healthcare as projectability to help advance beyond where we are today. But also, recognizing the importance of transparency, so that we have confidence in the outcome. They all recognized the importance also of collaboration and how we have to have government, and industry, and high tech companies all coming together to identify ways to give these healthcare providers the tools that they need to help the patients that--Right now there's really not a good way to diagnose some of the conditions they have. And so, it was just an extremely fantastic event in that, the collaboration that we embody at Xavier, really played through. And what's interesting is, all of the panel members are actually on our core team for the AI work that we do. We have FDA, we have IBM and we have the American Medical Association all involved in our work. So, it really just plays through in how we are working together, and how we all do recognize the importance of this. John Speer: Wow that's impressive. You know, this topic of AI is popular these days, you know. And I'm sure you know this. I mean, you have a summit on the topic. And just to remind folks again, that summit is happening here in a couple of weeks, correct? Marla Phillips: Yeah, so August 23rd and 24th, we're hosting The Artificial Intelligence Summit, and so we will have for example Bakul Patel. We will have IBM Watson Health. We will have American Medical Association. But what's really neat, in my opinion because I come from the pharmaceutical industry-- I used to be head of quality a Merck for their North Carolina facility. So I'm from industry, and not all of us have the AI data science background, because it's kind of a newer-- The use of it is newer. It's been around since the '50s, but understanding how AI works, we actually have a live demo session where participants are going to go from one vendor, to another, to another in a facilitative way to see it in action. And they're going to show you, this is how it works. And that's so important for those of us who are trying to understand and grasp how this actually works. So yeah, so we're bringing people together and trying to elevate all of our understanding on how AI works, so that we can use it going forward to advance the pharmaceutical industry, the medical device industry and our ability to help patients. John Speer: Gotcha. Alright, so, why do you believe that industry and FDA are really starting to come together? I mean, I know you've touched on a lot about that. But why are they coming together to work on advancing the use of artificial intelligence? I mean, and like I said, this is a topic that's very much-- It seems like it's everywhere we go these days. Artificial Intelligence, you know Facebook is doing it, LinkedIn is doing it. All three different apps are doing it. But why does that apply to the medical device industry? Why does FDA care, you know? Why does Xavier Health care about that? Marla Phillips: Okay, what's interesting is, again, coming from the industry, I mean, I know what we have in our hands as far as data. I would say for the past 20-30 years, we have really exploded the amount of data we've been collecting. I mean, we collected on everything. But all of us will tell you that it sits on the shelf, largely. Unless, for example, you have a failure. Then you can use some of that data to try to investigate what happened. But for the most part, it goes unused. And so we recognize that there's a tremendous amount of power in the data that's just sitting on our shelf. And when you can bring in artificial intelligence, then you can actually the AI to identify correlations between the data that you didn't even realized existed. And so this kinda gets a little bit into the working teams that we have coming out of the summit that I can share I just few minutes. Marla Phillips: That would very help advance how we're manufacturing our products and insuring the quality of those products. John Speer: Right. But it goes really beyond just the manufacturing side of things. I mean, if, at least in my way of thinking about it, if I can leverage AI as an asset, I can be more proactive about also the design of my products, and also to help me determine what other things I should be working on to help improve quality of life for patients. Marla Phillips: -That looks like a big movement. With this, using AI approach from being proactive to being predictive and then actually going from being predictive to prescriptive. Marla Phillips: Ad what I mean by that is, I can predict that a failure would occur if certain conditions exist, then I can prescribe specifications. I can prescribe the process control. I can prescribe all the different variables that occur in the materials themselves, and the manufacturing conditions so that I avoid those failure conditions from even happening. So yeah, there's a lot of power if we can get the AI in action. John Speer: Wow. I mean, are you thinking more that devices have some sort of embedded technology to communicate data and information back to medical device companies? Is this more about the systems that companies put in place to help monitor that? Or is it both? Marla Phillips: Right. So, great question. For medical devices, there are devices that already exist that have digital health components that are using Artificial Intelligence. So that's something that's already being used. There's also movements around real-world evidence and real-world data and the ability to get information back to the manufacturing company once the data is out in the market. So, you have all this smart technology, and we need to get that back to the manufacturing company so they can see how the product is actually performing because even today when we have complaints, it's just a matter of how many of us have issues with products that we actually pick up the phone and call and complain about it versus throw it away or "okay, that didn't work," and you're just frustrated. Who's got the time to always make phone calls like that? So this will be real-time information if you go back to the manufacturing company. As far as what we're doing, we have working teams that come out of the summit. And one example that I think is really exciting is continuous product quality assurance. What I mean by that is we have a team looking at what is all the data that you have in your hands that you could constantly be assessing. So if you have Artificial Intelligence looking at all of your data, all of the time, whether it's Word documents where they can use natural language processing or it's data as in numbers. We can look across all of those. Here is an example that maybe helps cement some peoples minds. So if you're going to manufacture a product, you have a raw material that comes in and it's got specification ranges for several critical tests about the different attributes of that material and it can be from 95 to 105, it could be from 10 to 20, there's always a range of whatever the test is that it can fall in. And then you bring all those different materials and with all of their variables and then you put it in the manufacturing process and it can be held at 25 degrees Celsius through 28 degrees Celsius. It can be mixed for 20 minutes or 25 minutes. It can have a room humidity of X or Y. There's all these conditions, but Artificial Intelligence can be scanning constantly to identify that when you're at the high range of that spec range and this low end of this control range and all of these different variables, it can identify conditions that always read the failure and then we can eliminate those. The other aspect is when we do audits, we go in and as humans, we can look at less than a fraction of a statistical standpoint of documents that are available. We pick a handful of them and start this journey to leave a trail, but you can't come close to looking at all the documents that are generated in a year or two years. So imagine if Artificial Intelligence can be scanning everything, all the time, and it can identify a correlation that we didn't even know existed. So it could say gosh, when the weather is at a certain condition in the south or where we might be growing sugar, the sugar that we're using in our product behaves differently, although it meets our specifications. It behaves and performs differently in a product, which is causing failures. But that would be very difficult for us to know, but it can identify those correlations and help prevent failures. John Speer: Yeah, I appreciate those insights. And folks, this is in large part why Greenlight Guru QMS platform exists for the medical device industry. Marla was talking about some specific examples of being able to effectively monitor product and process performance, and from a QMS perspective, that's also equally important and this is why our platform exists quite frankly is to a single source of truth for your quality system documentations and records and events. And as you log and document these different events, whether it be during the design and development process or from a risk or from a post-market perspective as you're getting customer feedback, complaints, [inaudible 00:15:22] non-conformists, the www.greenlight.guru system is tracking all of that data and information and has analytics dashboard built in to the platform to help you be more proactive rather than react to situations so you can see what's happening, the trends before they actually become big problems. And I think that in large part one of the goals of, at least in my way of thinking, about AI and how it can apply to the medical device industry, is to improve our processes and to improve our processes and to improve our products. So, Marla, can you give us a better understanding of some of the work that the industry and FDA teams are doing through Xavier University? Marla Phillips: Sure. As I mentioned, the continuous product quality assurance is what one of the working teams is addressing. So they're looking at where is all of the data because in order for Artificial Intelligence to do its work it needs access to the data and when you talk to a data scientist for example, they'll often refer to a data lake. You have to get the data into a common area where the mathematical algorithm can work on it. So, where is all of the data that would matter? From the summit last summer 2017 through now, we've had a team on identifying where all the data is and that includes GMP data and non-GMP data. You could have financial data, you could have weather data, and all other kinds of data that also impact the product and our assurance of product quality. John Speer: Yeah, for sure. Marla Phillips: So we can actually use Artificial Intelligence to weed out to the garbage and really focus in on what's meaningful and then look across recalls and device events and medical device reports and even start looking across the different branches of information on that site to see if we can identify correlations from the pharma, and the food data as well as the medical device data. So they'll be able to walk people through how do you get through that process and then once the algorithm does its work, what's the meaning of the outcome? How do you decipher what that means? But they're actually going to do it together, live, on real data instead of just a theoretical exercise. Marla Phillips: We also have a team, and this is a really interesting challenge in our world, especially in pharma, I know on the device side we talk about verification and validation, but in pharma we talk all the time about validation so you want to validate that something is what its supposed to be, it will always be that way, it'll always be done that way, so then you can count on the outcome being identical to what it was before. When you're working with Artificial Intelligence, you have a system that is continuously learning so if you were to validate that system, the very next foot second, it's learned something new and so its no longer what it was. So the word validation doesn't even apply. We have FDA and industry working together on a team that we call continuously learning systems, and how do you evaluate a system like that? And that's where the explainability piece comes in. Can we explain how it came to its outcome? Can we demonstrate the credibility of the input so that it demonstrates the credibility of the output? So they're working on how do you evaluate a system like that, how do you train the algorithm? So these are some challenges that we have to overcome because they're huge paradigm shifts for us to grasp. John Speer: Wow, you just hit on a couple of nuggets there, some challenges for sure like one of the things I picked up on is the unknowing for the data is, it's certainly a challenge. Another challenge that I heard, I know that you've talked about going into the Mod database and kind of gleaning some of these adverse events, which is interesting because I recently heard a statistic, I don't know how you would corroborate this as true or not, but something to the effect of only 3 to 4 percent of adverse events are actually reported to the FDA. Those are a couple of big challenges. What other challenges do you see as you try to implement effective AI in the industry. Marla Phillips: So there's a couple of different challenges. Some are what we've just been talking about, like how do you do some of the things that we need to have in place in order to use Artificial Intelligence and to be able to rely on that information. I think one of the challenges might be if we go down the path of figuring out how to demonstrate the credibility of AI output is, if we're not using validation, we might have to look at what some of the wording and the regulation say if we're using words like validation or policies that might be in place. Especially because its not just FDA, it's global regulators and in global regulations would we have to look at possibly changing those regulations to support this 21st century technology. That's one reason why FDA and industry are working together. We want to learn this together and discover together and so we're both on the same level ground. Some other challenges that exist, as you mentioned, finding the data. Where is the data? Just that there's some companies that are still using paper based systems. One step would be for them to get their data to be electronic so they can even get into the big data world, where you can scan your data, look for trends, and things like that. But you can't even do artificial intelligence if you don't have your data in an electronic format. I think there's a number of challenges. But working together and collaboratively will help us get to solutions, hopefully that we can use to implement. One other challenge, especially on the device side, and this is where Bakul Patel was named head of the digital health unit under Jeff Shuren. Because there are so many software applications where it is in and of itself a medical device. Software as a medical device standalone, not as part of a medical device. When you're looking at software, as we all know with smartphones and things like that today where there's so many plugs that come out because it's fixing a bug here or there, or there's different iterations and updates, those happen on a pretty frequent basis. Especially when you look at on the pharmaceutical side. I mean we don't make changes to our products very often at all. It might be after years. Medical devices I think there's more changes, but on the software side there could be multiple changes in a year. You can't have a six month approval process for the FDA to look at that change before you're allowed to use it, because then it becomes obsolete. Marla Phillips: Bakul has worked very hard with industry, including the high tech industries outside of our medical device and pharma industries, to look at how can FDA give approval on more of a real time basis? He's looking at how can he certify a company that, "Okay. You're kind of like a trusted partner", as in the TSA pre-check line. "You can go ahead because you've demonstrated you have the credibility, and you can go ahead and make those changes". Those are some of the things they're trying to look at and work through. Otherwise all of this is a moot point if we can't keep the AI current. John Speer: For sure. One thing I want to lead into a little bit, you talked about paper based systems. I mean folks, I think we're at a point in time in this world where if you're reliant on paper to manage your documents and records, it really is time to make a change. Because that paper doesn't scale. Marla, I talk to people every week who are, I call them spreadsheet jockeys. I mean, they're paper based and they're putting all this data, usually manual data entry into spreadsheets, and they're using these spreadsheets to run their business. That's just crazy in today's world, in my opinion. Marla Phillips: Yeah. I have to agree, Jon. I'm just going to interrupt you for a second. Marla Phillips: I have to agree. I mean, the complexity of the amount of data that's out there, and what you're expected to manage and maintain and oversee as a company. Think of all the social media that's out there that wasn't there 10, 15 years ago. Where you're expected to understand what people are saying about your product, and how in the world can you keep track of all that relative to the batches you've manufactured or the products you've made, if you're not digital? I mean I can't even imagine that you're able to do it in a responsible way, and so there's a tremendous amount of risk there. John Speer: I mean it goes back to what you were mentioning earlier. From an audit perspective, what we have historically done is we pick a few records here and there. We pull the paper files and assess our process performance based on the inspection of a few records. That's not, never is that indicative truly of process performance. We're at the point in time where not only do we have to shift from paper to digital, but we also have to improve our own internal methods to assess and evaluate our product and process performance so that we're always being proactive. It's another point that you hit on a moment ago. Marla, can you give an example of how you think AI is going to transform how the medical device industry operates today? Marla Phillips: Yeah, absolutely. To that point I should mention that, so we had the IBM coordinated event on Capitol Hill in July, and we're having the Xavier Artificial Intelligence Summit in August. The AdvaMed Med Tech Conference on September 26th is hosting a similar panel to the FDA industry high tech coming together, because there is tremendous potential. All of these venues are working to bring people together and heighten the awareness. How could it transform the medical device industry I think is even more so than pharma, because you can have this AI as part of your product. Whereas the pharmaceutical, you can't unless it's a combination product. I think the ability of medical devices to become smart devices and biometrically read what's happening with a patient and adjust itself and identify correlations that might be patient specific. I mean we're hearing more and more about personalized medicine on the pharma side. This would make the device more personalized. We talked about giving that real time feedback to companies, so you have this ongoing post market surveillance that's occurring and feeding back, so then you can adjust real time what you're doing with your product. Whether it's updating that current product that's on the market, or developing new products that might have similar attributes where you can improve them before they even get started. I think moving from that, as we mentioned, as industries, pharma and device, we recognize we have to move beyond reactive to proactive. But now this next step going from proactive to predictive and then predictive to prescriptive. To where we can prescribe the conditions, the specifications needed, to avoid any failures and any patient harm. John Speer: Yeah, for sure. I guess kind of in closing, it's probably good. I mean, AI is one of those things that I imagine a lot of people in the industry, there's probably some fear of why and when, and what I should do about it, quite frankly. How do you address that? What comments do you have for those who might have a fear of AI? Marla Phillips: Well first of all, I guess I can understand it. As I read some of these media publications, it's kind of like they're, I don't know if they're intentionally trying to foster that fear because it brings attention to their publication or what. But I think if the individual can see through what's going on, that it's going to be helpful. For example, you might see a lot of hype about how artificial intelligence failed and misdiagnosed someone, and it put someone in danger. What it doesn't mention is that, let's say artificial intelligence might be in that particular case 97 percent correct. There's three percent of the time where yes, it's going to be wrong. But now if you compare that to what we as humans would be able to accomplish without AI, we might be 82 percent correct, okay? There's a lot of hype and fear because AI is ruling the world, is misdiagnosing, and all of this stuff. But if you recognize how much farther we can go with AI than where we are as humans, you will be so much better off. The other piece though is, AI has to be used responsibly. All the work that we're doing at Xavier Health is focused on using artificial intelligence to augment human decisions, not to make the decisions for us. If you can imagine, we've been talking this whole time about all the data that we've been collecting over the past 20, 30 years, that we as humans just can't even scratch the surface of. You're getting ready to release your product to the market, and you're looking at maybe less than a fraction of the data that's available to you if you weren't human, and you could actually look at all that data all the time. We're making as informed of a decision as we can with our current system. But now imagine if we use artificial intelligence, where it's identifying correlations across all of the data and all of the information we've ever had on this product and across our product lines. That as you're getting ready to release the product, you have all that at your fingertips. We will be able to make more robust decisions than we've ever made before. Will we get it wrong sometimes? Yes. Will that frequency of incorrect decisions go way down? Absolutely. The fear is there. I see why it's there, because of the media hype. But just recognizing that with AI we can do so much better than we could without it. John Speer: Yeah, that's great. Marla, thank-you so much for sharing more about the work that you and FDA are doing on AI. Folks, whether you have a fear of AI or it's something that you're 100 percent onboard with, either way I would highly encourage you to attend the AI summit that's happening at Xavier Health on August 23rd and 24th. Marla, again, thank-you so much. Marla Phillips has been my guest. She's the director of Xavier Health. If you have any questions or comments about the programs at Xavier Health, including the AI summit, I encourage you to reach out to her. Marla Phillips: Okay, great. Thank-you, Jon. John Speer: Folks, thank-you so much for listening to the Global Medical Device Podcast. As I mentioned a bit earlier, if you want to improve your quality management system, you want to ditch that old paper based approach and actually implement a modern approach to managing your quality system specifically and exclusively designed for the medical device industry, I would highly encourage you to go to www.greenlight.guru to learn more information. If you want a demo, click the button and request that. We'd be happy to have conversations with you about that. This has been the host of the Global Medical Device Podcast, founder, and VP of quality and regulatory at Greenlight Guru, Jon Speer.